omid (mashhad, Iran) on 11 March 2017 in Lifestyle & Culture and Portfolio. wow...what a beautiful image here !!!!!!!!!!!!!!!!!!!!!!!!!!! Espectacular vista de reflejos, con genial iluminación y tonos. ***** Buen día. A new fantastic view : great reflection, both on the water and in your mind ! Bravo. This is a clever and funny. The colors are great,. 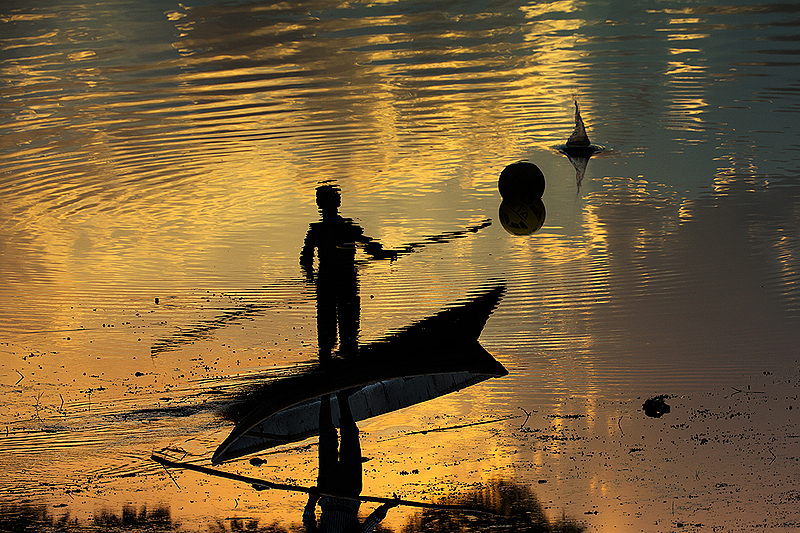 Afloat in a sea of gold ... as a reflection of reality! Brilliant!!! Do I have to turn my monitor upside down again? ;-) Very nice. Gorgeous light and color. I love the reflection! fantastic reflections and colors... what an interesting image! Waw, fantastic reflection and framing ! Great shapes the reflection and floating grass makes. Great colors and reflections. It is upside down, isn't it? Anyway, a great photo. @MAU: Yes, It is upside down. Magnidicent. Equisite lighting on the rippling waters. Superb reflections and beautiful golden tones.